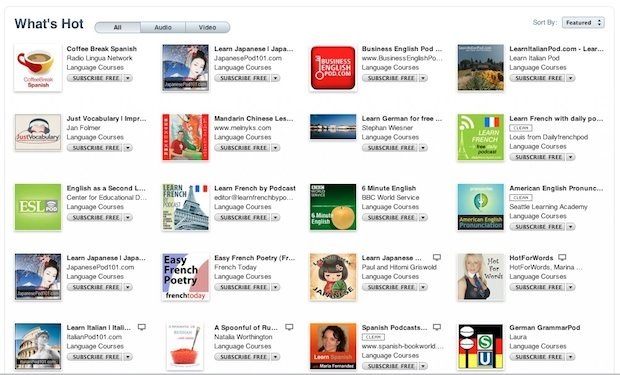 Did you know that iTunes has a wealth of free language learning courses? There are tons of language lessons offered for free, just find a language you want to learn or brush up on, subscribe to the podcast, and start practicing. I have selected 15 popular languages below, but there are many more available through iTunes. Not finding what you want here? Do you want more podcasts for a specific language? There’s an abundance of lessons available on iTunes, check them out here.